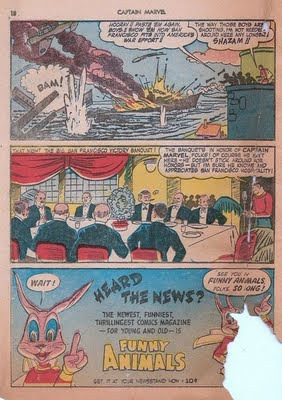 Willamette Week pointed out that Portland cartoonist Josh Shalek is a finalist in the third round of the Amazon.com "Comic Strip Superstar" contest. 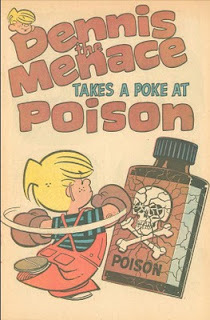 Shalek will find out Wednesday, Oct. 28, whether his comic will be selected as one of 10 finalists to be showcased on Amazon.com, where voters will decide the winner. 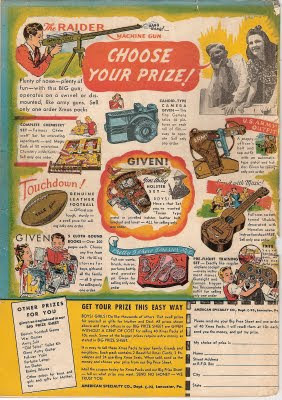 The top vote-getter will receive a $5,000 advance on a book featuring their daily comic strip and have their work syndicated by Universal Press Syndicate, which picks two to four new comics each year for syndication out of a submissions pile of about 5,000. 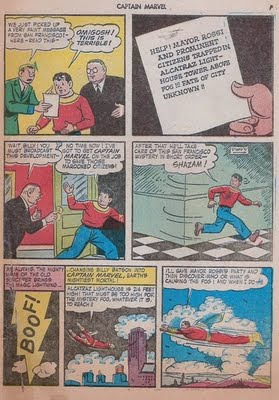 His submission is a previously unpublished strip called "Tortilla Flat." 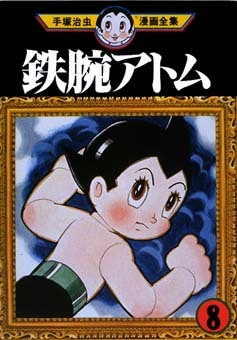 "Unpublished" is really unpublished, so don't look for it on the internet or in bookstores. 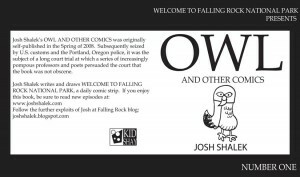 But, when I was at the Stumptown Comics Fest I spoke with Josh and picked up his previous effort, a series he called "Falling Rock National Park," which he combined into a couple of self-published books. 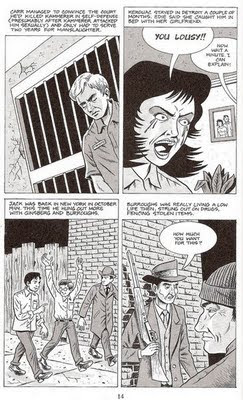 I bought the one called "Owl and Other Comics" because of the the visual pun from Allen Ginsberg's "Howl." 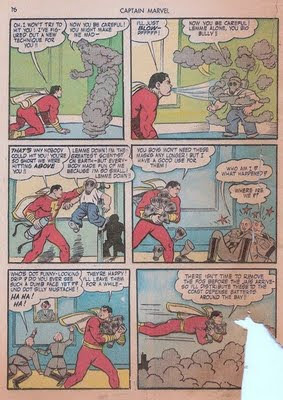 My son and I both read it and we thought it was consistently funny and drawn in an interesting way. 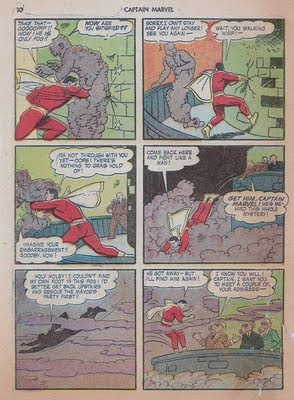 Josh said that he quit his job for a year to focus on drawing comics in the hope that he could make it a full-time job. 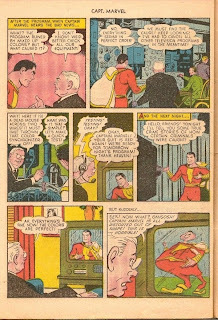 So far it looks like he's gone a long way toward that goal! 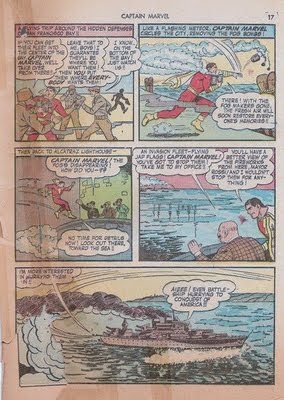 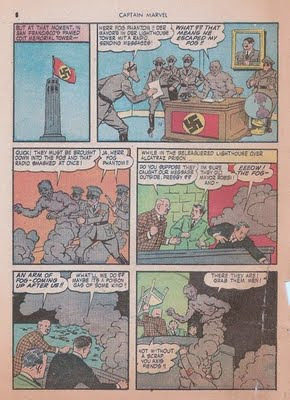 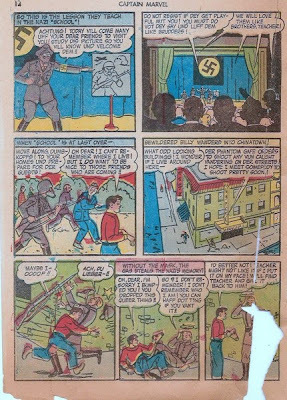 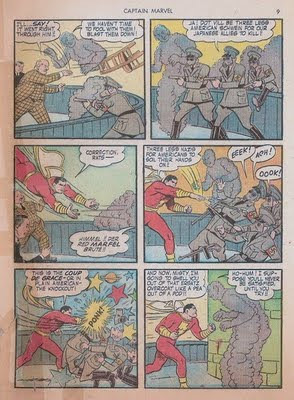 In Captain Marvel Adventures # 115 from December, 1950 there's a story titled "Captain Marvel Battles the Television Terror", which in retrospect is a weird harbinger of the future. 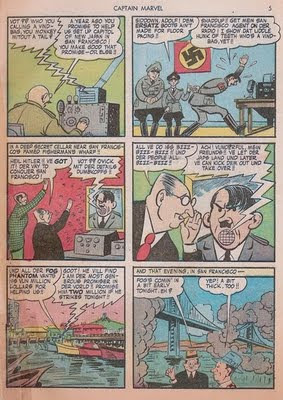 Although TV was invented and available in some parts of the country before World War II, due to the war the FCC suspended television programming in 1942. 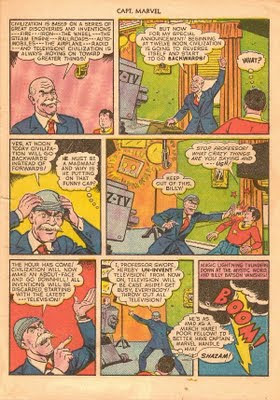 It wasn't until 1948 that the networks formed, and by 1950 TV was gaining popularity as a mass medium. 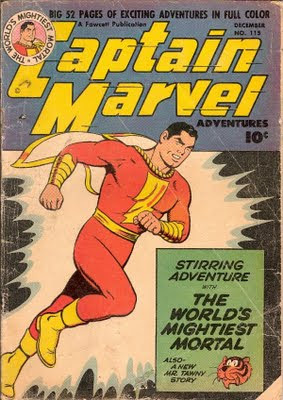 So, just as CMA had real people in the stories, it also showed the aspects of every day life impacting the superhero Captain Marvel. 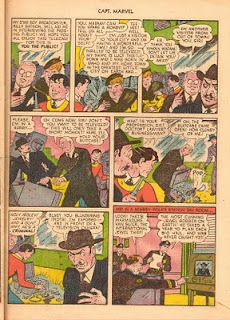 This particular issue seems steeped in TV. 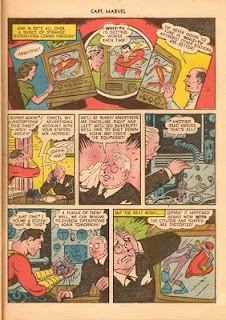 First there's the story where a conniving inventor creates a machine that emits a ray to reverse civilization. 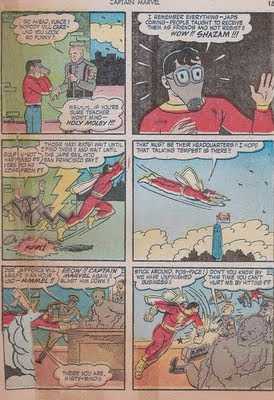 Via his machine he "un-invents" things so that people will give them up. 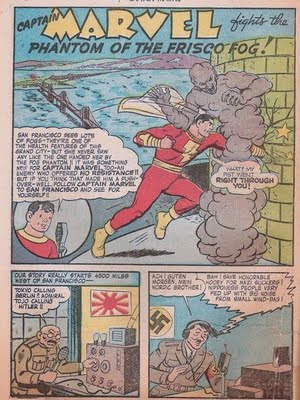 Toward the end of the story we learn that the professor is selling the technology to a medieval civilization in another dimension, whereupon Captain Marvel captures the bad guys, smashes the backward ray, and saves all the technology. 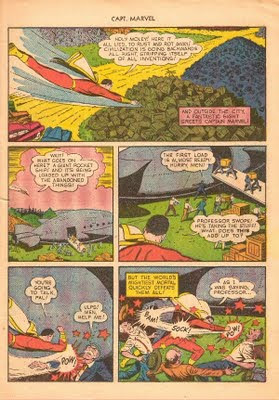 Notice how Professor Swope lists the technological advancements: fire, iron, the wheel, cars, airplanes...culminating with TV as the obvious pinnacle of civilization. 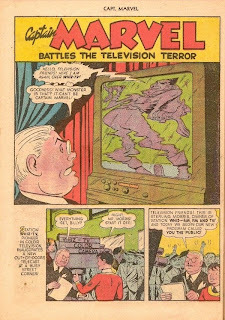 This page showing the piles of discarded TVs reminded me of the recent switchover to digital TV. 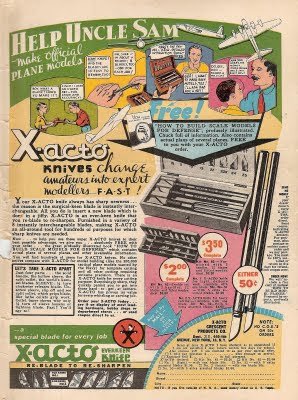 In the same issue is a small ad for "Don Winslow" which claims to be "Directly from television to you." 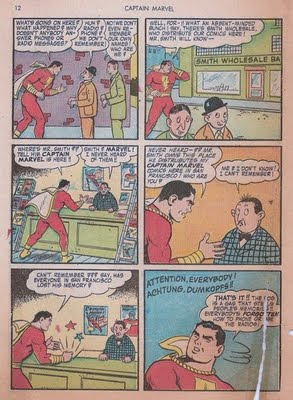 This is funny because "Don Winslow" was a Fawcett comic which spawned popular movie serials. 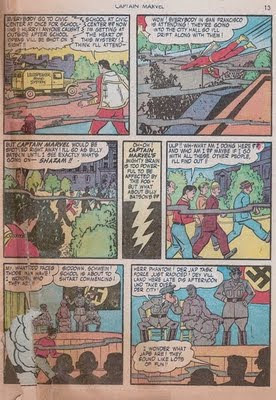 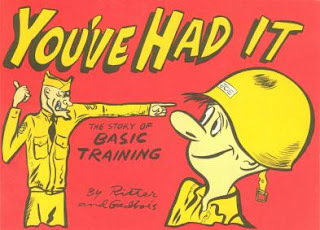 The ad is full-circle, with the TV show advertising the comic. 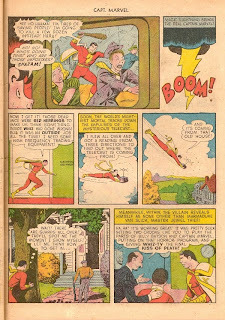 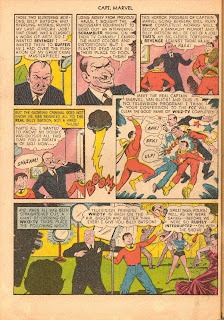 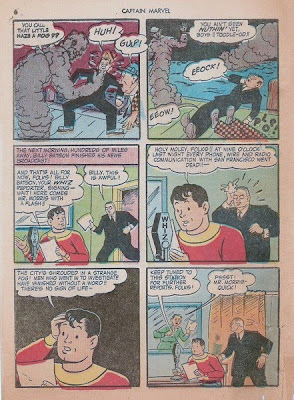 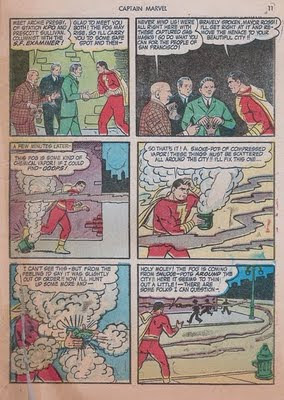 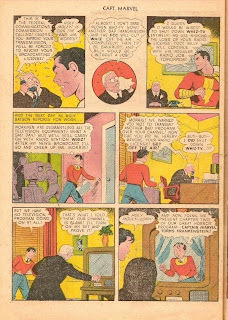 Prior to 1950 Billy Batson had been a reporter for the WHIZ radio station. 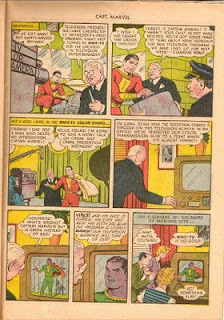 In this issue he moves into TV, as WHIZ tries to start up their television station. 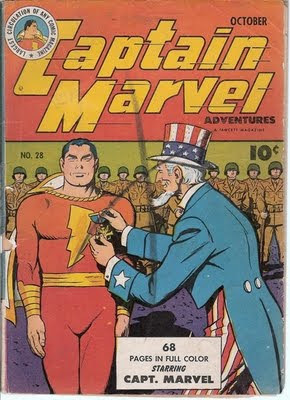 Unfortunately, mysterious technical problems plaque their efforts, and Captain Marvel has to get involved. 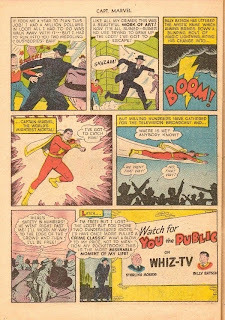 What gets me about "Captain Marvel Battles the Television Terror" is that the criminal mastermind behind the plot is so blind: with his technology he could have started his own TV station and gotten rich that way.